DAUPHIN ISLAND, Alabama -- Wet, glistening, and smelling of asphalt, tarballs the size of nickels were scattered liberally among the seashells pushed ashore by Tropical Storm Debby. As predicted, the 20-foot waves associated with the storm moved oil left behind by the BP oil spill in 2010 on shore. 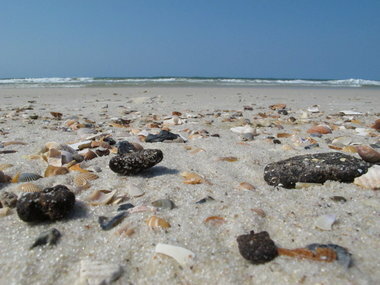 While BP officials reported finding few tarballs along other Alabama beaches in the wake of the storm, oil was easy to find on the uninhabited portion of Dauphin Island surveyed by the Press-Register.